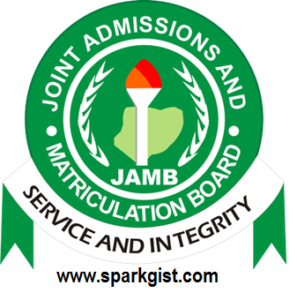 If you are reading this article then you must be looking for how to reprint your JAMB examination Slip/photocard carrying your exam date, venue and time for the examination, search no more as this post give a clear and well explained details on how to reprint your 2019/2020 JAMB Examination Slip. Note that the JAMB examination Photocard has important information enclosed in it, it shows that your online registration and JAMB biometrics was successfully captured correctly and also it contains your examination date, venue and time for the 2019 JAMB UTME examination. As done in years back, the JAMB Photocard reprinting is usual announced by the Joint Admission and Matriculation Board JAMB. Ensure not to print your exam slip before the stipulated date; else, you will not find any information regarding your exam date and centre. The JAMB reprinting is done with a computer that has internet access and connected to a printer or a smart phone with internet access. The browser to use is Mozilla Firefox, Google Chrome etc, please do not use Opera Mini. The document is in PDF format. Advise– After reprinting, we advise you to make a clear photocopy of your examination slip as keep it safe as it will be used in future. At the right corner of the page click on ‘Re-Print Slip’. 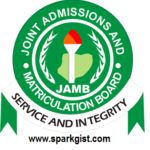 Type in your JAMB registration Number in the box provided then click ‘Re-Print’. Now print your exam slip with your exact date of the exam, time and also venue will appear on the JAMB Photocard/slip. Finally click on PRINT OR press ‘ctrl’ and ‘P’ on your keyboard to print. Exam date: The 2018 JAMB UTME Examination will commence from Friday, March 9 and end on Saturday, March 17 as speculated. Mobile phone: Mobile phone are not allowed closed to the examination centre, any candidate caught with a phone will be termed as involved in examination malpractice. Writing materials: There is no need to go to exam hall with pens, pencils, erasers, and sharpeners since the Unified Tertiary Matriculation Examination is now computer based. Some candidates used these writing materials for examination malpractice by writing speculated answers to the questions. Wristwatches: JAMB officials have discovered that electronic wristwatches were used for examination Malpractice in 2017 examination and has instructed candidates not to come with such watches or any watch at all. Spectacles: According to JAMB Registrar, Prof Is-haq Oloyede is the reason the exam body install lens detector in all CBT centres. He said, “the lens detectors will also be made available at all centres to find out the status of all eyeglasses if a candidate or anyone must go in with it” because some eyeglasses are computerized. So therefore, candidates are advised not to wear electronic eyeglass or not to wear any glasses at all.